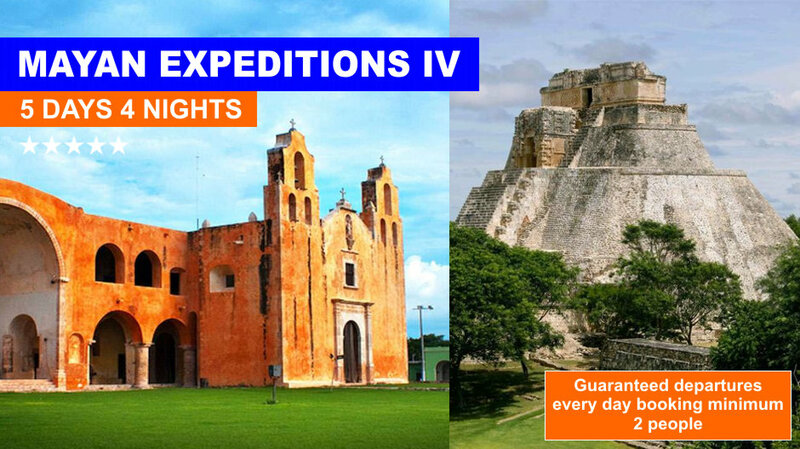 A journey of three days by the enigmatic Mayan Ruins of Tulum, Coba, Uxmal, Kabah, Chichen Itza and 2 beautiful Colonial cities like Merida and Valladolid, this tour has been created for those interested in learning more about the people who inhabit the southeast of Mexico: the Yucatan Peninsula, will transport us to the past to uncover the secrets of a great civilization: THE MAYANS. 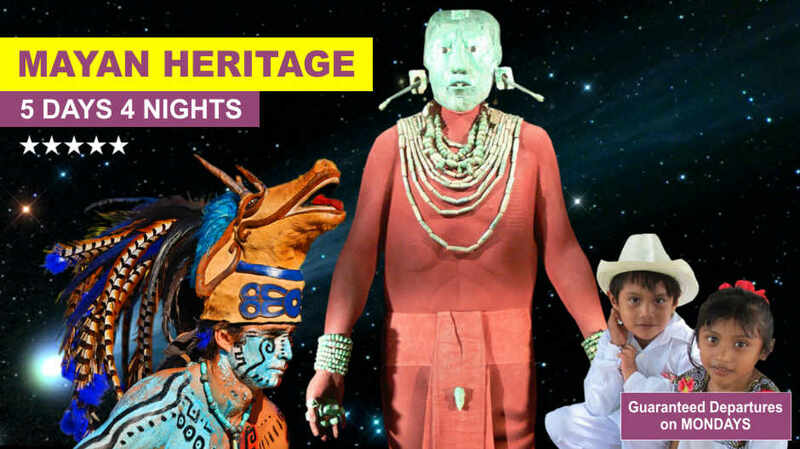 Depart from Cancún to Merida, on the way we will visit TULUM in the south of Cancún. This Mayan city built on the sea share was so important for the great commercial network that Mayas established with Central America. 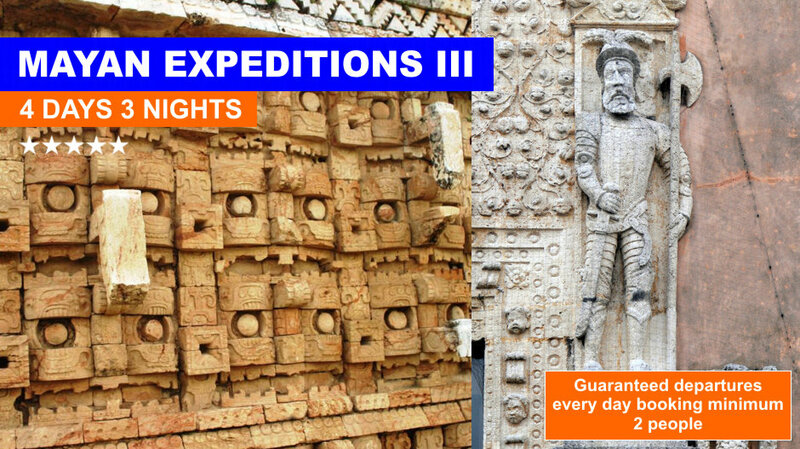 After this we head towards COBA the largest Mayan city on the peninsula that was the ground commercial controller of its time by an enormous network of parhways; the longest goes for 100 kms. Connecting the site with other important cities of its time. The day ends at MERIDA for overnight. 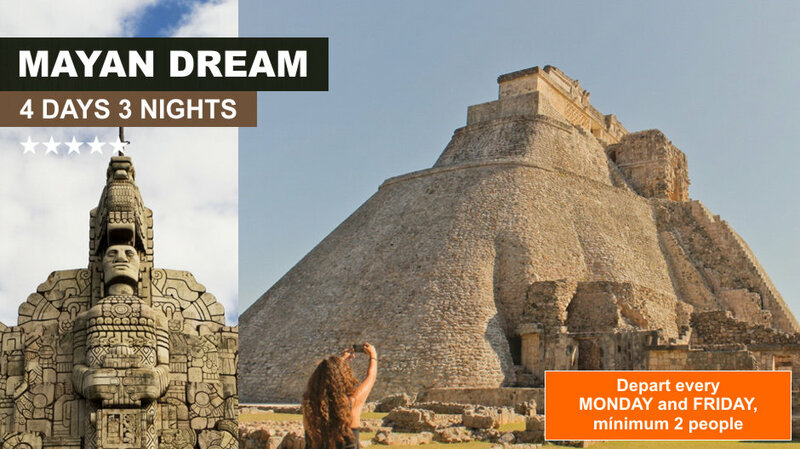 On our way back to Cancun we visiti the archeological site of CHICHEN ITZA the "Mounth of the well of the Itzaes" with its impressive constructions: the splendid Castle or Pyramid of Kukulcan witch is a great example of the advanced civilization that lived there, the Ball court. The Observatory and Sacred well will of breathtaking. 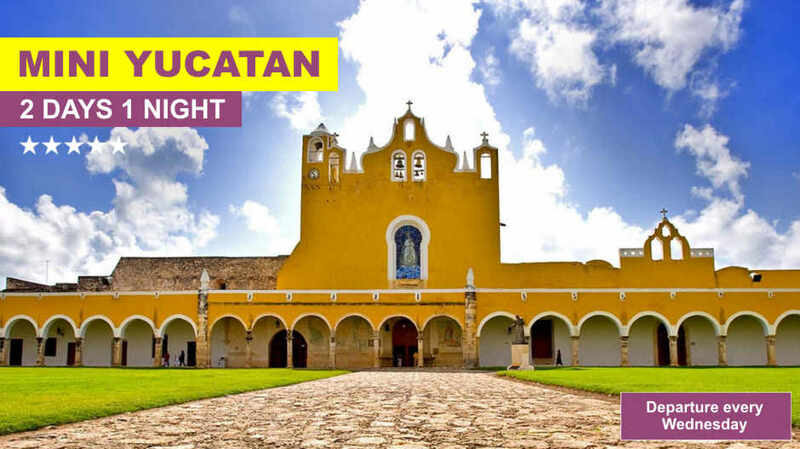 VALLADOLID, a Colonial city founded in 1543 will be visited before the final drop off back in Cancun. Minimum Private Services any day of the month, two people..
Hotel for this tour is Three Stars. Suitable carry cash, some are not accepted credit cards or debit sites. Take the necessary, during our tour we will have several stops to buy necessities.